Most Americans think that our country has done quite a lot to protect women and ensure gender equity in the workplace. After all, we have banned discrimination against women, required equal pay for equal work, and adopted family-leave legislation. But the fact is that we have a two-tiered system, where some working women have a full panoply of rights while others have few or none at all. We allow blatant discrimination by small employers. Domestic workers are cut out of our wage and overtime laws. Part-time workers, disproportionately women, are denied basic benefits. Laws are written through a process of compromise and negotiation, and in each case vulnerable workers were the bargaining chip that was sacrificed to guarantee the policy's enactment. For these workers, the system that was supposed to act as a safety net has become a sieve--and they are still falling through. Caroline Fredrickson is a powerful advocate and D.C. insider who has witnessed the legislative compromises that leave out temps, farmworkers, employees of small businesses, immigrants, and other workers who fall outside an intentionally narrow definition of "employees." 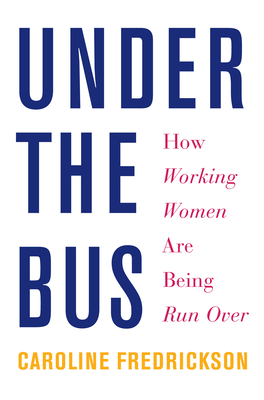 The women in this fast-growing part of the workforce are denied minimum wage, maternity leave, health care, the right to unionize, and protection from harassment and discrimination--all within the bounds of the law. If current trends continue, their fate will be the future of all American workers. Caroline Fredrickson is the president of the American Constitution Society. She has been widely published on a range of legal and constitutional issues and is a frequent guest on television and radio shows. Before joining ACS, Fredrickson served as the director of the ACLU's Washington legislative office and as general counsel and legal director of NARAL Pro-Choice America. She lives in Washington, D.C.